Drinking ice cold beer in Singapore is a common pastime among many local people due to the humidity levels. 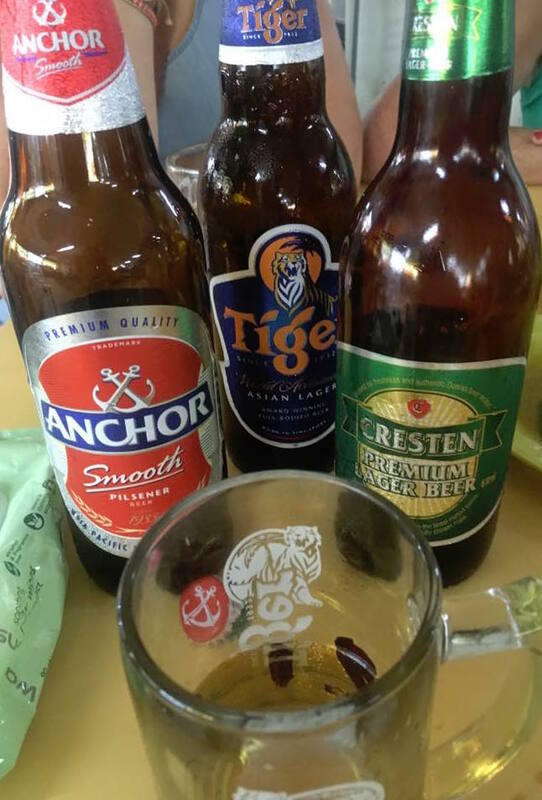 Singapore Boozesters provides you with a 3.5-hour beer tasting experience comprising a wide selection of Chinese, Singapore and international beers in Singapore hawker centres and coffee shops around Chinatown. This experience will provide you with a unique and valuable experience of being immersed in the local hawker centre culture, which is where most Singaporeans would have their meals & drink. There will be a few beer stops with some walking around Chinatown where you can also soak in the sights of Singapore’s history and Chinese culture. 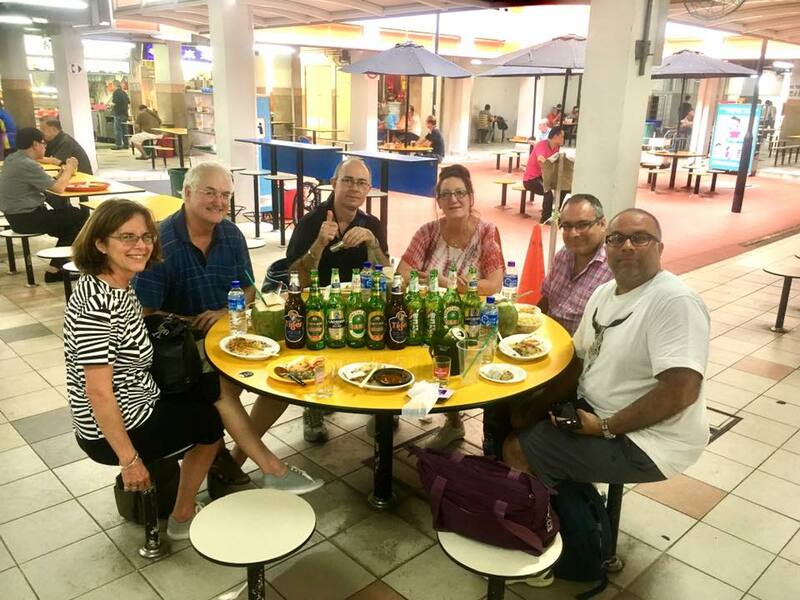 The first beer stop commences at People’s Park Hawker Centre where you will be introduced to a wide variety of Chinese beers and experience the fascinating Hawker Centre culture. After this, we would be taking a walk through busy street stalls selling Chinese snacks and delicacies and head over to the old quarter of Chinatown where you will be exposed to the local history and Singapore Chinese heritage. Our next beer stop is at Chinatown Hawker Centre where more beer will be sampled. We will then take a short walk to a nearby local coffee shop where you will have the chance to experience having beer at a common favourite hangout place of many local uncles and aunties. The final beer stop will be at iconic Maxwell Hawker Centre, which receives media attention from well known food critics from all across the globe. This will be followed by a worry-free transfer back to your hotel for your peace of mind. Even though this is a beer sampling tour, there will also be a variety of beer-friendly local snacks for you to sample along the stops that we will cover. This tour will give you a very good overview of real Singapore through a common indulgence of beer and food, while being introduced to the charming street charm of Chinatown. 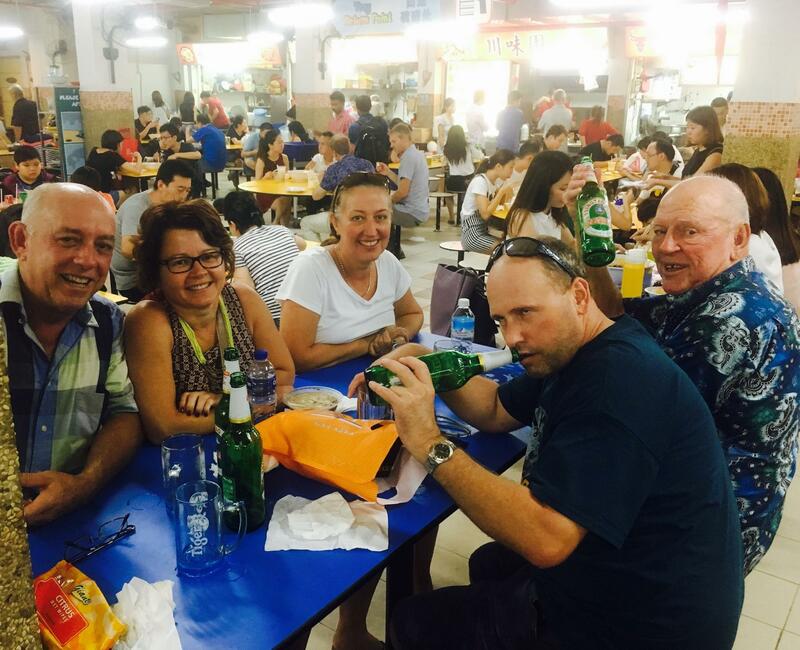 The entire hawker centre beer sampling and neighbourhood tour costs USD98 per person and would last about 3.5 hours. Please take note that this also includes pick-up and drop off at your hotel to Chinatown either in the late morning or evening.